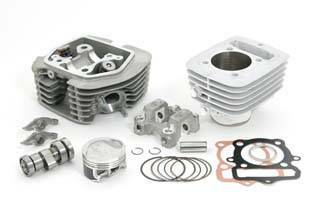 Takegawa SuperHead Bore Up Kit xr/crf100 (115cc/Stage-3/plated cylinder) (THIS IS OFFICIALLY THE LAST kit available as Takegawa has discontinued this kit. We carry "most all" of the Takegawa parts & accessories line. If you do not see it, we just might not have it loaded onto our site yet or we can order it for you!